One of the neatest things about Rowan is his enthusiasm for a project. He loves to be given a task, the directions to complete the task, and then the space and encouragement to fulfill his duties. 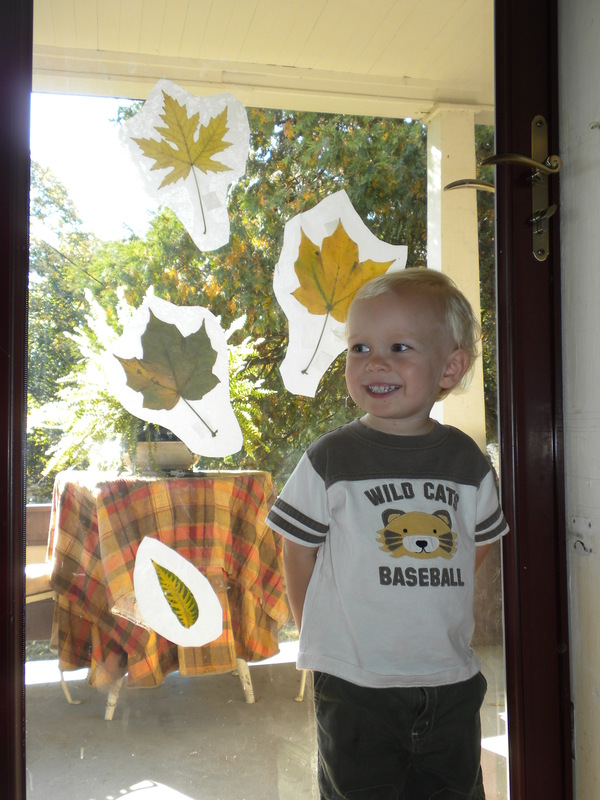 After the knife incident, Rowan spotted some grotesque window stickers. You know, the ones that attach to your windows using static cling? 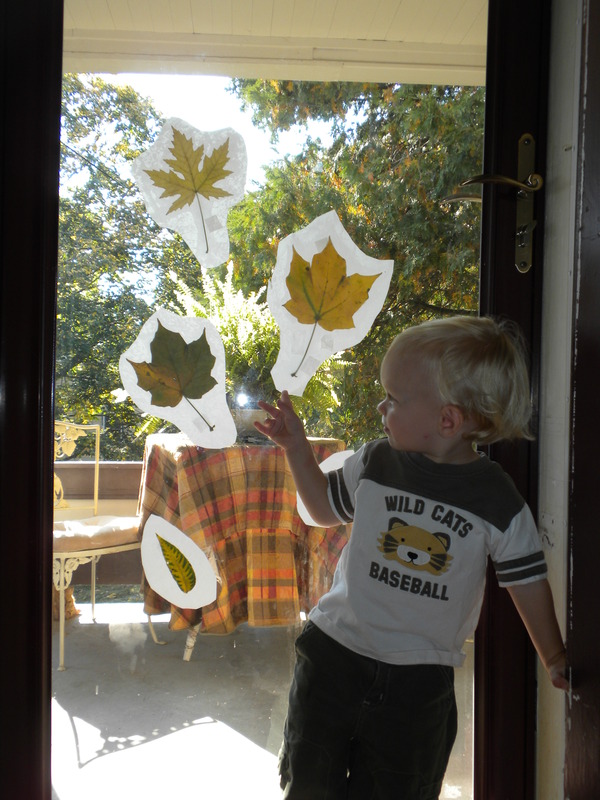 He really wanted to bring them home and affix them to the glass door that leads from his play room to the back porch. I was less than thrilled with the depiction of a youthful zombie with a pipe through its brain, so I opted out of the sticker purchase, and led him to the housewares isle. We paid for a roll of wax paper, and headed home. 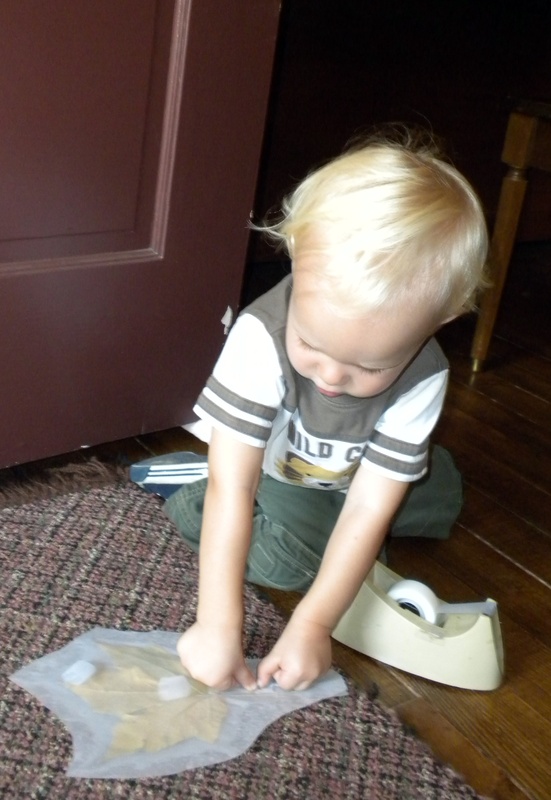 After unloading our loot, I explained to Rowan that we were going to collect some leaves, press them, and then iron them between two sheets of wax paper. 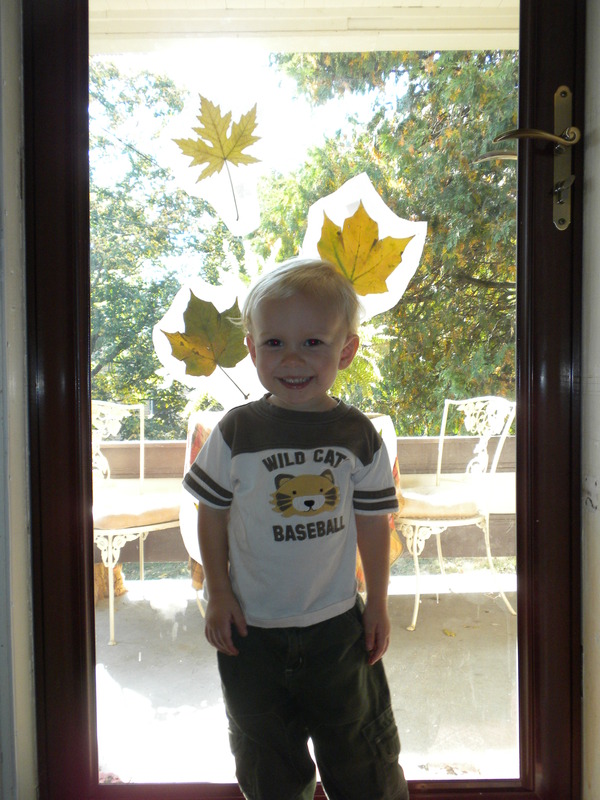 After, we would cut them out, and tape them to the door. I had him at “collect some leaves”, and he was out the door before I was finished with my shpeal. 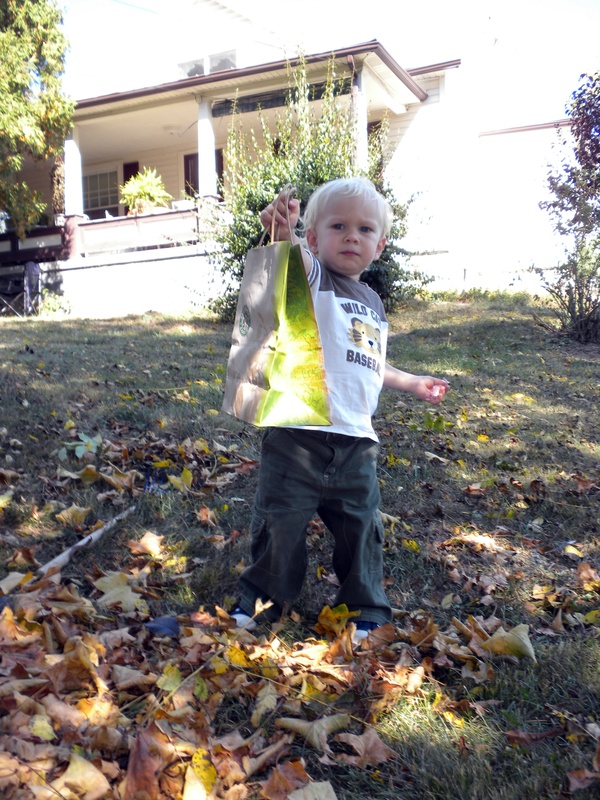 I gave him a handled Starbucks bag to collect leaves. You would have thought it was a Vera Wang, the way he strutted with that thing. 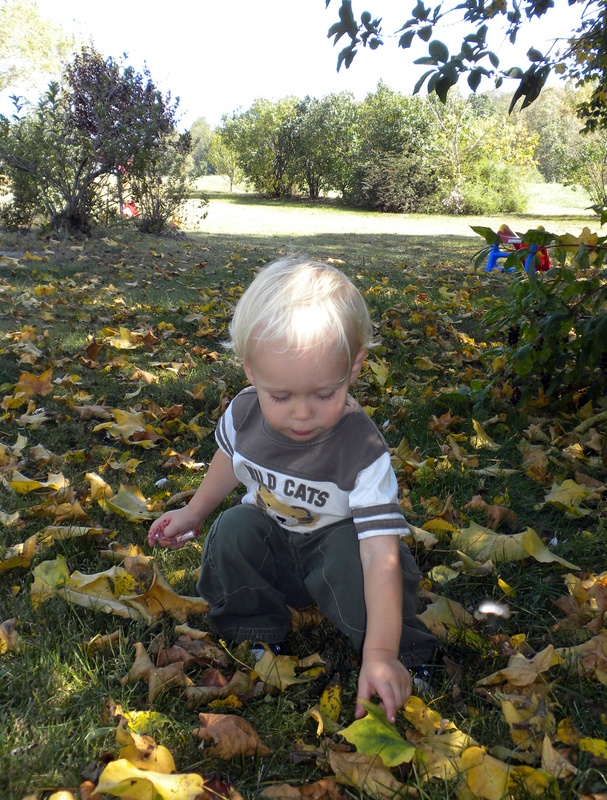 Rowan was extremely selective of the leaves he chose for this project. For every ten he picked up and examined, maybe one was good enough to earn the privilege of going into the bag. A short break from collecting leaves was spent trying to catch a cloud. I swear he'll do it some day. 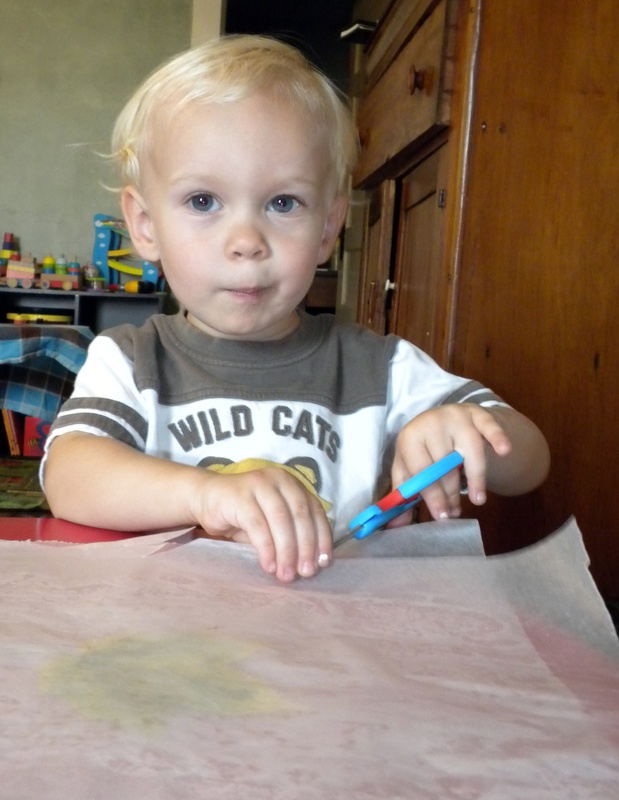 Flattening the leaf between two sheets of wax paper. 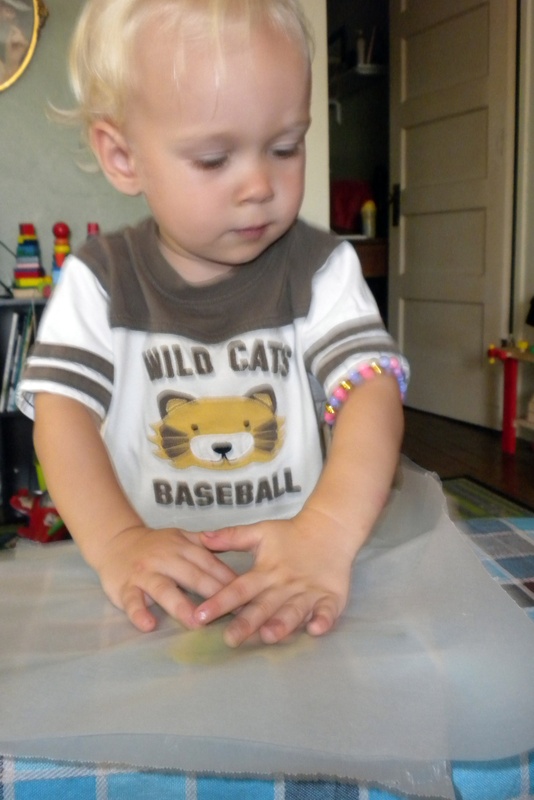 It took us several tried to realize that there is really only wax on ONE side, and we were doing it upside down. Good thing we had lots of leaves! "VERY hot, Moma. Handle touch ONLY!" Thanks Rowan. I'll keep that in mind. 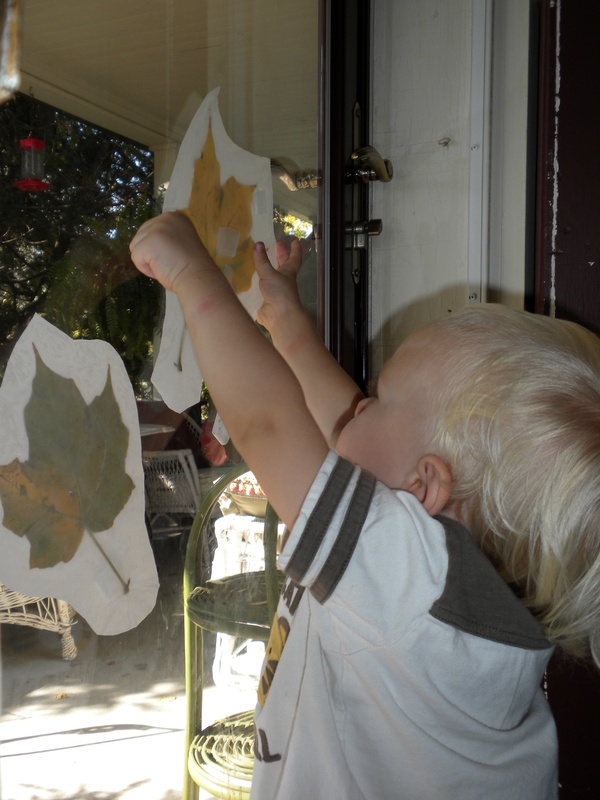 Cutting out the pressed leaves. This is a difficult task, requiring many facial contortions. Tape is a tricky sort of thing. He kept telling it to, "Stay! Stay!" It didn't listen. I'm guessing it had something to do with the tape being on the wrong side. "And this one here I collected from under Mom's car." Allow me to translate: "I spotted a leaf directly under Mom's car. I whined until she crawled under her car and got it for me." Very satisfied with his job well done. Yes, he worked tirelessly for the entire afternoon, but his efforts were not in vain. He woke up this morning, walked over to the door, and after studying his handiwork, he proclaimed it, “cute!” Then he skipped into the kitchen asking for pineapple. Last year at this time I had just moved to this state, left a relationship of six years, and started the rest of my life. This year, I’ve settled into life in the country, have made some friends, and have put my life into God’s hands. Last year I was struggling to define who I was, to understand how I fit into my family, and was getting a handle on being a single parent. This year I stand confidently for what I believe in, I have a fluid definition of family, and can settle into the role that is needed at any particular moment, and I have learned to live with only showering twice a week. Last year I was terrified of the future. This year, the future looks blindingly bright. And reflect I have. And you know what? I’m proud of what I see. Starting over and building a new life is messy. I’ve struggled through the muck, and emerged on the other side strong and pleased to be alive. 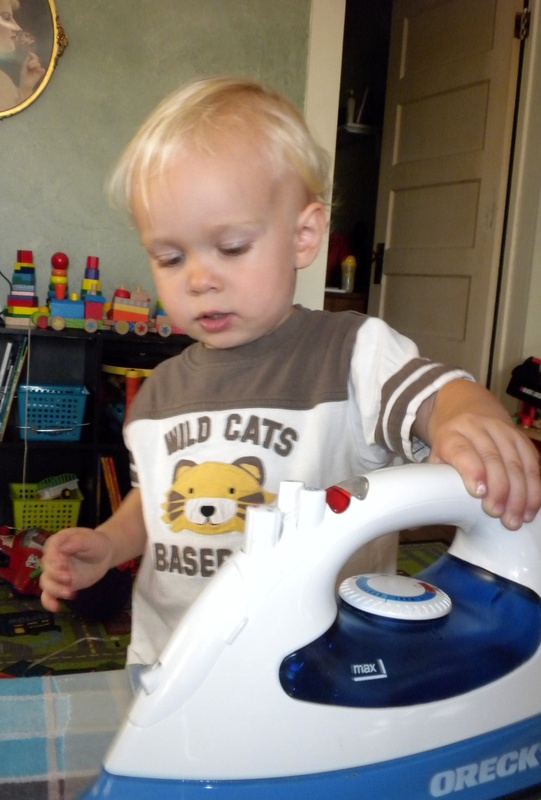 I want to post this video or Rowan, not because he’s being particularly cute, or because he does something amazing. He’s simply happy to alive. To be here. To be him. 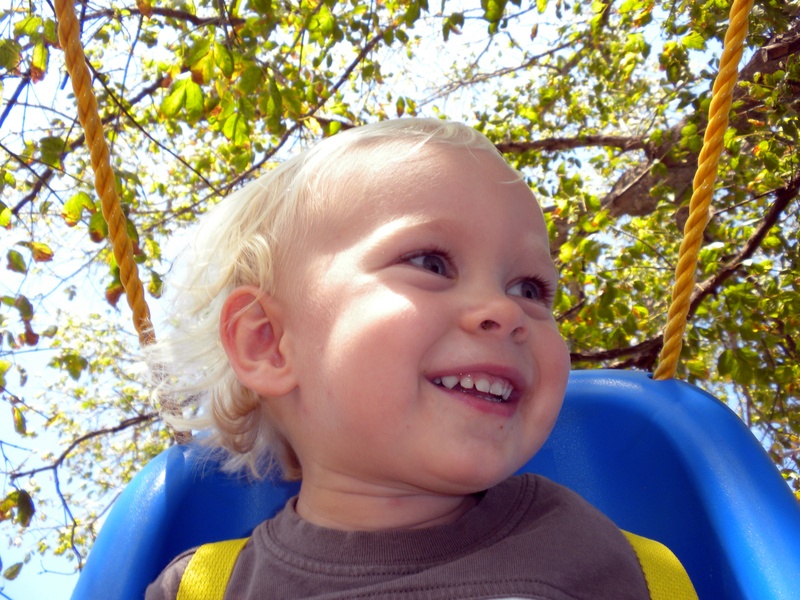 In the past year he has blossomed and thrived, and grown from a bubbly baby into a talking, singing, jumping, and joyful kid. 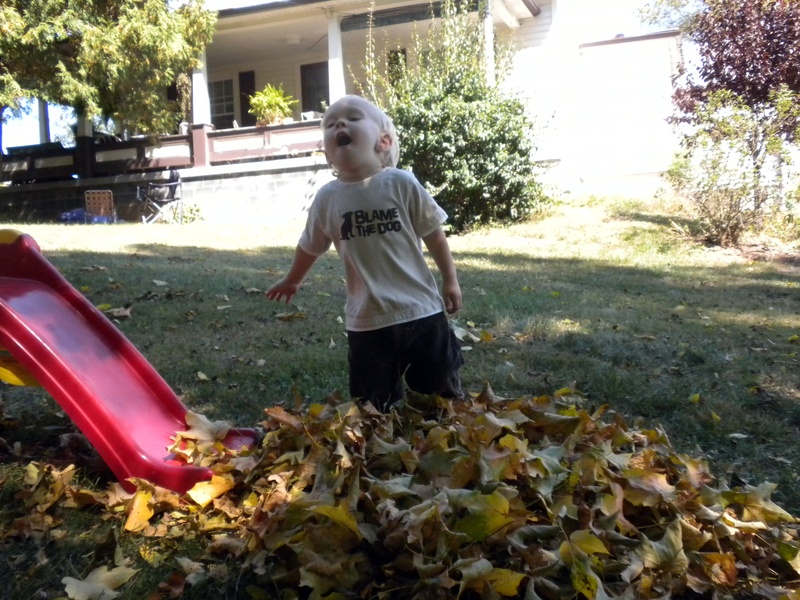 We spent a couple of hours yesterday raking and jumping and raking and jumping. The weather was perfect, it was just the two of us, and I couldn’t help but marvel at how far we’ve come in just one year.